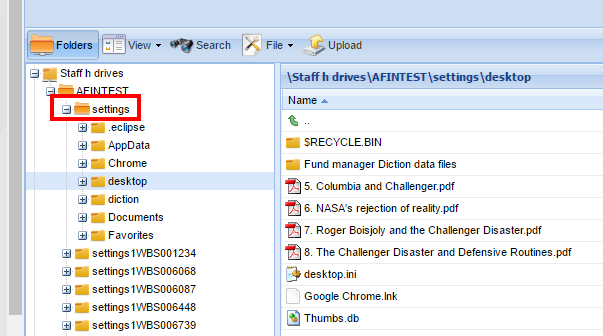 You are a Staff member working at home on your personal computer and wish to access files that you have stored on your H drive. Open an Internet browser log and into https://files.wbs.ac.uk/htcomnet/ with your regular WBS username and password. When you have finished we recommend you both log-out and close your browser (not just the tab you were using).